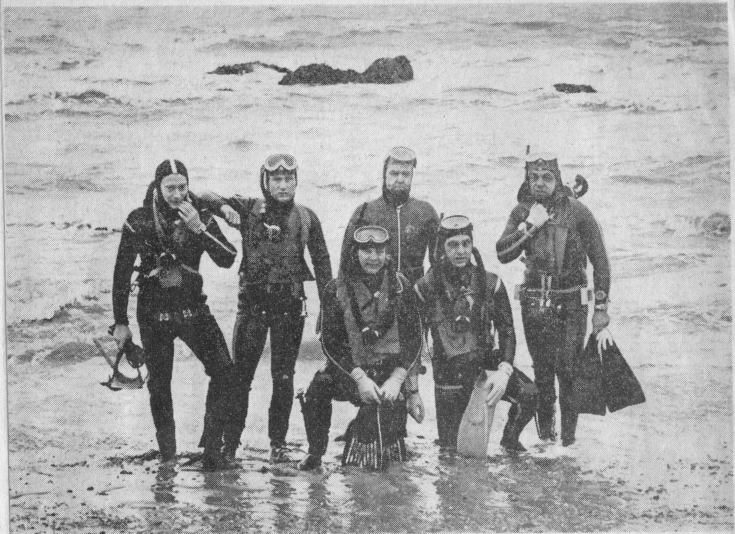 The ruins of the Roman fort of the Saxon shore at Felixstowe, known as “Walton Castle”, were examined in 1969 by a team of divers from the Ipswich branch of the British Sub-Aqua club, led by Geoff Errington. Ipswich museum liason was Elizabeth Owles, although I have yet to locate the survey report filed with the museum. This morning I met Geoff Errington (now aged 75) at his business, Dive Line, in Ipswich. He lent me two clippings from local newspapers. I attach images as a PDF below, but I thought that I would transcribe these here. The first, shorter article, was in the East Anglian Daily Times on December 15, 1969; the other in more detail was in the Mercury, on December 19, 1969, page 8. The latter included a sketch map of the site, based upon a drawing by Geoff Errington.